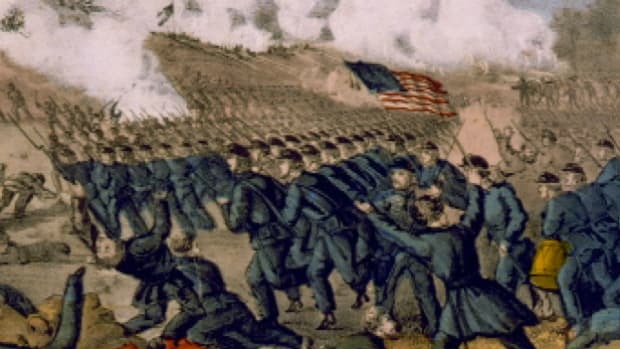 The March 9, 1862, battle between the Monitor and the Merrimack (CSS Virginia) during the American Civil War (1861-65) was history’s first duel between ironclad warships. 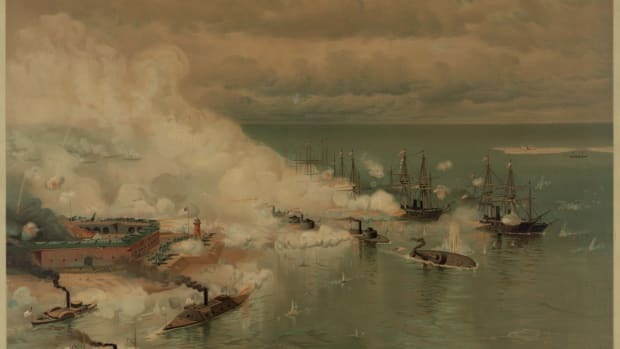 The engagement, known as the Battle of Hampton Roads, was part of a Confederate effort to break the Union blockade of Southern ports, including Norfolk and Richmond, Virginia, that had been imposed at the start of the war. Though the battle itself was inconclusive, it began a new era in naval warfare. The CSS Virginia was originally the USS Merrimack, a 40-gun frigate launched in 1855. The Merrimack served in the Caribbean and was the flagship of the Pacific fleet in the late 1850s. In early 1860, the ship was decommissioned for extensive repairs at the Gosport Navy Yard in Norfolk, Virginia. The vessel was still there when the Civil War began in April 1861, and Union sailors sank the ship as the yard was evacuated. Six weeks later, a salvage company raised the ship and the Confederates began rebuilding it. Did you know? The design of the USS Monitor was so innovative, that when it was launched the ship featured more than 40 different newly patented inventions. The Confederates covered the ship in heavy armor plating above the waterline and outfitted it with powerful guns. Rechristened the Virginia, it was a formidable vessel when launched in February 1862. On March 8, the Virginia sunk two Union ships and ran one aground off Hampton Roads in southeastern Virginia. 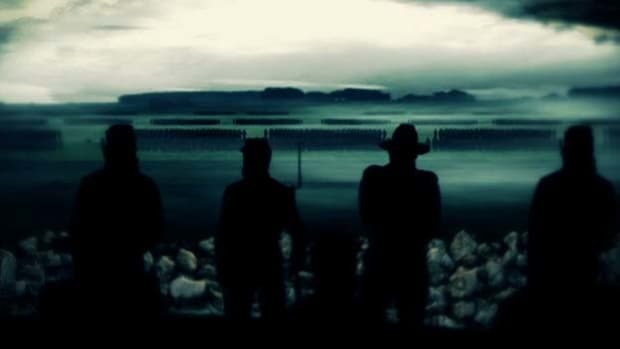 The next day, the USS Monitor steamed into the Chesapeake Bay. Designed by Swedish engineer John Ericsson, the vessel had an unusually low profile, rising from the water only 18 inches. The flat iron deck had a 20-foot cylindrical turret rising from the middle of the ship; the turret housed two 11-inch Dahlgren guns. TheMonitor had a draft of less than 11 feet so it could operate in the shallow harbors and rivers of the South. 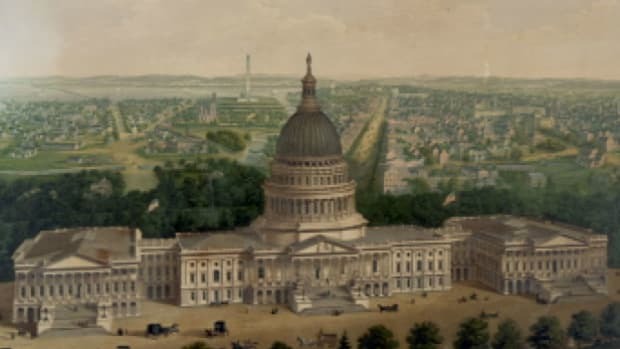 It was commissioned on February 25, 1862, and arrived at Chesapeake Bay just in time to engage the Virginia. 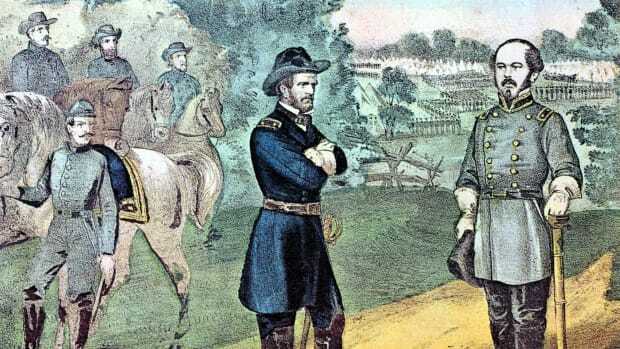 The battle between the Virginia and the Monitor began on the morning of March 9 and continued for four hours. The ships circled one another, jockeying for position as they fired their guns. However, the cannon balls simply deflected off the iron ships. In the early afternoon, the Virginia pulled back to Norfolk. 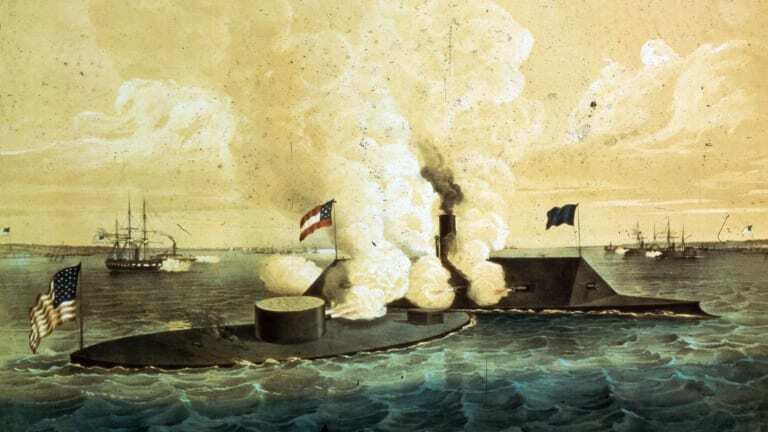 Neither ship was seriously damaged, but the Monitor effectively ended the short reign of terror that the Confederate ironclad had brought to the Union navy. Both ships met ignominious ends. 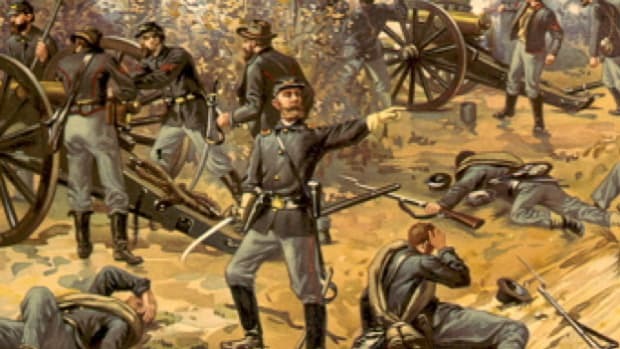 When the Yankees invaded the James Peninsula two months after the Battle of Hampton Roads, the retreating Confederates scuttled the Virginia. The Monitor went down in bad weather off Cape Hatteras, North Carolina, at the end of the year. In 1973, the wreck of the Monitor was discovered at the bottom of the Atlantic Ocean. Many artifacts from the vessel have since been recovered and are on display at the Mariners’ Museum in Newport News, Virginia. Though they had short lives, the two ironclads ushered in a new era in naval warfare.